At a certain point while writing the jacket copy for Joel Lane’s The Anniversary of Never, it seemed inevitable that the phrase “posthumous collection” had to be used. A few versions of the text went back and forth between myself and Nicholas Royle (Nick also wrote the introduction), and nothing else sounded quite right. The Anniversary of Never is a posthumous collection. Needless to say, the publication of this volume suffered one major setback—the sudden loss of its author. But despite this loss, the book, to me, doesn’t feel posthumous at all. I suppose I should start with the book’s genesis. Toward the end of 2012 I got an email from Joel. He wanted to know if I’d be game to look at a submission, a collection of stories he called The Anniversary of Never. Officially Swan River Press is closed to submissions, but Joel wrote anyway. I liked that. And of course I didn’t have to think too long before I said yes. But I did ask Joel for one small favour: could he please limit his selection to forty thousand words or so? He agreed. Although Joel, being far too polite, never asked why I imposed this limitation, I feel my request could probably here use some explanation. I believe I first came across Joel’s work in Acquainted with the Night (Ash Tree Press, 2004; which was, I’m pretty sure, my introduction to a number of modern ghost story writers). I continued to encounter Joel’s work in various anthologies and magazines, and always looked forward to reading them—I enjoyed them, though “enjoy” is possibly not quite the right word for a Joel Lane story. Eventually I did a capsule interview with Joel in the now defunct and sadly missed All Hallows (October 2005), and on the heels of that we struck up a casual correspondence. Joel’s comments on weird fiction were always considered and insightful. For example, I was delighted to learn that he also felt Neil Marshall’s The Descent to be essentially Lovecraftian. Perhaps not an overtly obvious assertion—no tentacles to be found anywhere in that film—but for Joel the weird tale was never about the superficial. And maybe that’s why I enjoy his stories so much. There’s always something startlingly real under the surface. So why that limitation I mentioned earlier? Bear with me here, I’ll get to it. For whatever reason, I never sought out The Earth Wire (Egerton Press, 1994; in fact, I still haven’t read it). My first encounter with a Joel Lane collection was Night Shade’s The Lost District, which came out in 2006. It was after reading that collection that I realised what makes Joel’s stories so good: each one demands an investment from the reader. Sometimes emotional, sometimes intellectual, sometimes spiritual—frequently this demand is a potent mixture of all three. But it is always a demand, and each reader must give something of themselves before reaching the final page. Up until then I’d only ever encountered Joel’s stories in anthologies one at a time. 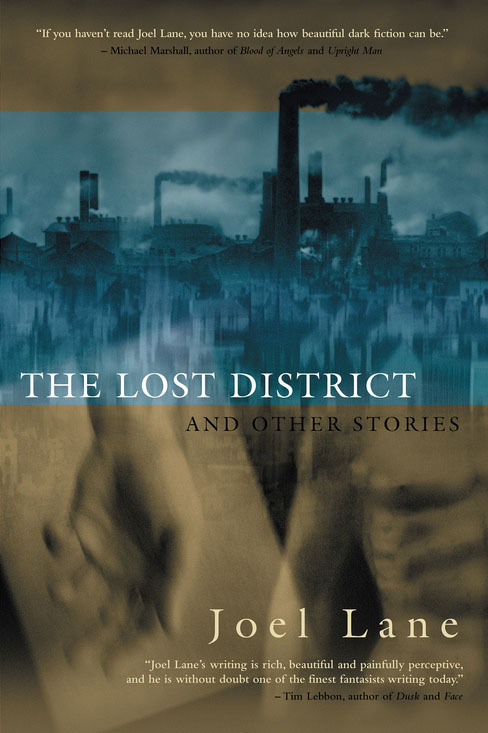 But The Lost District was different, it was a collection, each story relentlessly illuminating the darker corners of the human condition. And they kept coming, one after the other. By the end I felt exhausted, drained. The same thing happened when I read The Terrible Changes (Ex Occidente, 2009). Joel’s stories truly engage and address questions and states of being that are often difficult to face. So when I asked Joel to limit his selection to forty thousand words, it was really a plea for mercy. My own shortcoming as a reader of weird tales. Always the gentleman, Joel obliged. The Anniversary of Never, not including Nick’s introduction or the acknowledgements, is 39,760 words long. But, my god, each word counts. If it is the duty of the weird tale writer to challenge and unsettle the reader, then Joel Lane works overtime. And he doesn’t punch out until long after everyone else has left the office. I only met Joel once. It was at the World Horror Convention 2010 in Brighton. 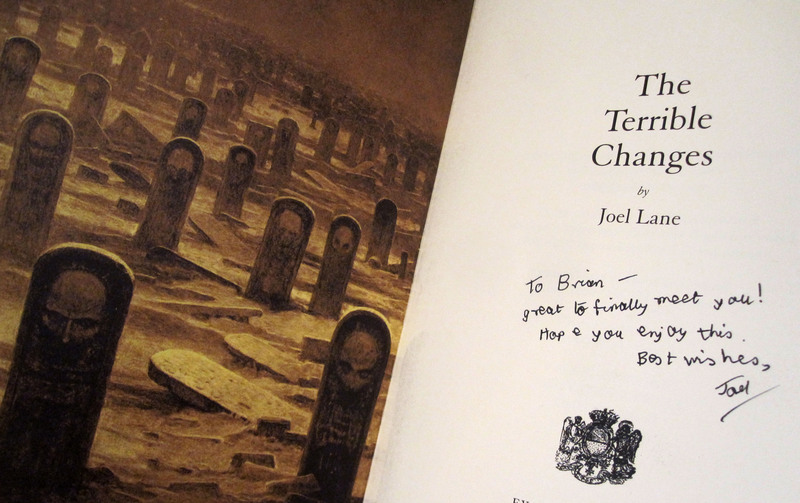 I introduced myself and asked him if he would sign my copy of The Terrible Changes. He did. I remember him in person as kind, but sort of intense. Maybe a little ill at ease (or maybe that was me). Later I found myself sitting beside Joel at one of the panel discussions that weekend. I recall him perched at the edge of his seat taking notes. That intensity I had noted earlier was in fact a razor-sharp focus, and the questions he asked the panel participants were thoughtful and carefully worded. They were smart. This man’s consideration of weird fiction, I thought, is nothing short of reverent. So back to late 2012, when Joel submitted to me what would eventually become The Anniversary of Never. During the course of the next few months, he sent over a number of different versions of the collection. Each time there were subtle alterations to the contents. One story added, another subtracted, a new story written, the order subtly changed. 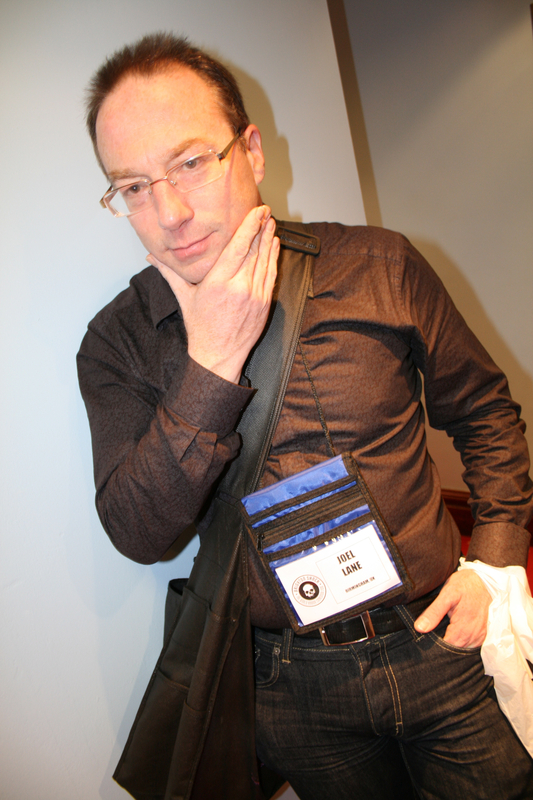 Look over a list of Joel’s published stories. You’ll see there are a lot to choose from, a number of forms The Anniversary of Never could have taken. I watched as Joel shifted the stories about. He was keen on shaping a collection that was focused, one that delivered the desired cumulative effect. Of course I was as shocked as anyone when I heard that Joel had passed away on 25 November 2013. I was hoping to see him a few weeks earlier at the World Fantasy Convention, but due to ill health he couldn’t attend. 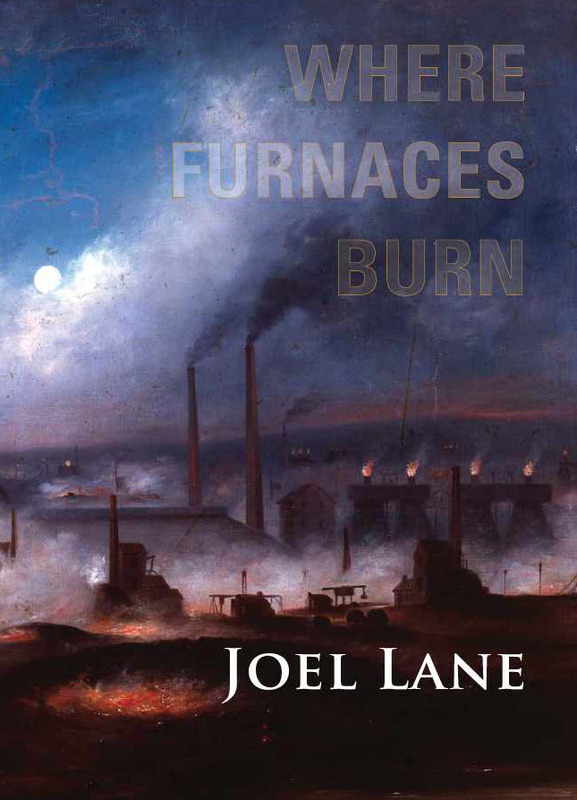 I did buy there a copy of Where Furnaces Burn (PS Publishing, 2013), for which Joel won the World Fantasy award for best collection that year. I didn’t read the book until after Joel had died. As always, so many of his stories at once delivered that familiar emotional impact, though perhaps because of the recent loss, their bleak ruminations affected me just a little more than they might have otherwise. I never wrote a memorial for Joel when he passed away, but there are many out there to be found. Those who knew him better than me can more eloquently give shape to the gap he left behind. But I am proud to publish The Anniversary of Never, and I hope it stands as a suitable tribute. Even though the front flap of the dust jacket declares the book a posthumous collection, it just doesn’t feel that way to me. The book as it stands is the collection that Joel put together himself, and I’d like to think he is happy with it. The Anniversary of Never by Joel Lane will be published as a limited edition, dust jacketed hardback in early August 2015, featuring an introduction by Nicholas Royle and cover art by Polly Rose Morris. The book is currently available for pre-order from Swan River Press.